Look for some new restaurants and an old favorite to open in downtown Spokane in the next few months. 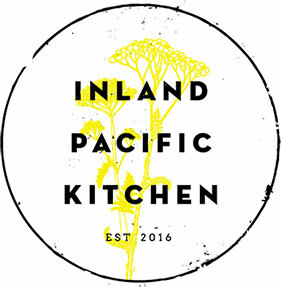 Inland Pacific Kitchen and partner bar Hogwash Whiskey Den, owned by Kate and Jeremy Hansen, is now open in the Washington Cracker Company Building at 304 West Pacific. Texas True BBQ is opening next month in the former Brooklyn Deli location at 122 South Monroe. Brooklyn Deli recently relocated to the corner of Monroe and First next to the Montvale Hotel. And Spokane's venerable Viking Tavern at 1221 North Stevens is under renovation and set to open after the first of the year under new ownership. The new owners promise whole brand new look to the Viking while still keeping what everyone has loved throughout the years. This two-day event includes free fitness classes on the Athleta Main Stage (sign up online), meet fitness experts on yoga, pilates, spin, barre, strength training and more. Also included this year is an obstacle course, gymnastics, 30' rock climbing wall, bungee run, Brazilian Jiu Jitsu tournament on Saturday, and female crossfit competition on Sunday. You can shop fitness equipment, apparel and supplements. Also this year is a new fitness swap. Hours are Saturday 10am-6pm, Sunday 10am-4pm. Admission is $8 for adults, $4 for kids ages 6-12. Cash only, good all weekend. For more information, visit SpokaneHealthFitExpo.com. Museum hours are Tuesday through Saturday, 10am-5pm and Wednesdays, open until 8pm. Tuesday admission is half price. Visit northwestmuseum.org for more details. 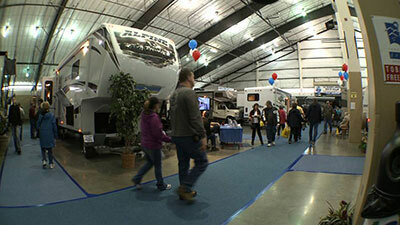 This is the Northwest's largest RV Show and Sale with over 170,000 sq. ft. of RVs and accessories, and it's coming to the Spokane Fair and Expo Center, January 19-22. With six gigantic dealers, 10 huge Fairground's buildings packed with RV's, from tent trailers to motorhomes this will be a great show. There will be hundreds of RVs, brands, styles and accessories to choose from. This year, you can enter to win a $100 gas card, which will be given away every two hours. Admission is $8 cash only, good all weekend. Hours are Thursday, January 19 noon-8pm, Friday, January 20 & Saturday, January 21 10am-8pm, and Sunday, January 22, 10am-4pm. Kids 12 and under free with adult. For more information, visit www.spokanervshow.com. This year's first SCORE Workshop. 'How to Start a New Business,' and will be held tomorrow, January 4 from 8:30 to 12:30pm. The workshop is presented by Spokane SCORE Chapter 180. Learn step-by-step consideration of legal, tax, insurance, accounting, business planning, and funding topics that you need to address to successfully start a business. Guest presenter is Rob Rowley P.S., Attorney & Counselor at Law and entrepreneur. Cost for the workshop is $25 pre-registered, $40 at the door, $15 for an additional person from the same company. Veterans may attend this workshop for free. Location is the SBA Training Room, 801 W Riverside, Suite 444. Each workshop requires a minimum of three registrants. Contact the SCORE office to find out if the minimum registration criteria has been met. Providence Health Care continues to offer new ways for patients to access the care they need, when they need it through a series of retail clinics called Providence Express Care. The first retail clinic in the Spokane area opened today on Spokane's South Hill in the Lincoln Heights Shopping Center (2923 E. 29th). Providence Express Care offers fast, easy and affordable care for most common illnesses and injuries. They offer an innovative menu of options for consumers that provide same day access to care without an appointment, in addition to primary care and specialized services. The clinic operates extended hours, 8am-8pm, 7 days a week, and allows for walk-ins, same-day scheduling and an after-hours option for care on evenings and weekends. Providence Express Care accepts a variety of insurance plans, Find more information on pricing and the patient experience at the Express Care website at providenceexpresscare.org. To schedule an appointment call 888-227-3312. Roast House Coffee Company is celebrating their seventh anniversary 'of being, doing, enjoying, sharing, competing, partying with coffee!' with an open house, Wednesday, January 4 from 8am to 6pm. The party is at their roasting location 423 E. Cleveland. 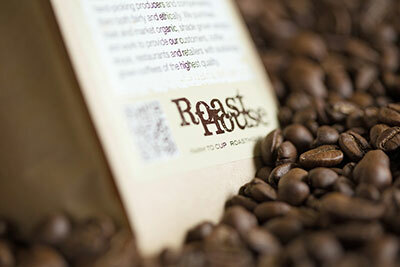 For more information call 509-995-6500 or visit roasthousecoffee.com. 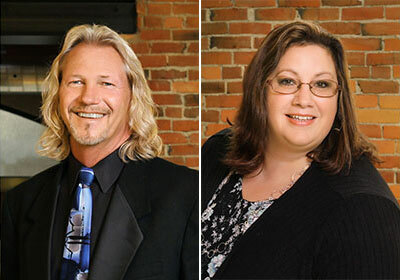 Steven C. Fitzgerald, RD, Associate AIA, and Lesa A. Webb, NCIDQ, IIDA, have joined Bernardo|Wills Architects as a senior architectural technician and an interior designer, respectively. Fitzgerald's first commissions include the BCT Complex, Unaccompanied Enlisted Personnel Housing at Joint Base Lewis-McChord, Wash.; The River House Apartments, a senior living community in the City of Spokane Valley; and providing rendering support for a host of other projects. A licensed residential designer in Nevada, he is an associate member of the American Institute of Architects. Fitzgerald, who holds a technical certificate in Architectural Drafting and Design from the Phoenix Institute of Technology, was previously self-employed as a residential designer in Reno, Nev., specializing in custom homes. Webb's initial assignments include the Washington State Department of Transportation North Central Region Administration Facility in Wenatchee; BCT Complex, Unaccompanied Enlisted Personnel Housing at Joint Base Lewis-McChord; and remodel of two administration buildings for the Fairmount Memorial Association in Spokane. A member of the International Interior Design Association, she holds her certificate from the National Council for Interior Design Qualification. Webb earned an Associate of Applied Science degree in Interior Design and a Professional Certificate in Interior Design from El Centro College. She was formerly employed by ALSC Architects. Webb is a board member of CASA Partners, which supports the work of the Spokane Court Appointed Special Advocates program. For more information, visit www.bernardowills.com. The Spokane Park Board has approved a Professional Services Contract with Rob Sanders, PGA, to serve as the new Head Golf Professional at Esmeralda Golf Course. 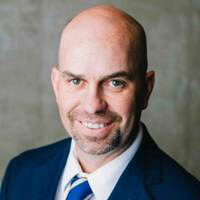 Sanders has 18 years of experience, and previously served as the General Manager and Head Professional of the Lewiston Golf & Country Club and Devils Thumb in Colorado. He has three PGA certifications in Golf Instruction, Golf Operations and General Management. A degree in Sports Medicine helps him relate to golfers who have had surgeries or limitations from injuries. Sanders responded to the city’s Request for Proposals (RFP) distributed in the fall. Responses were reviewed by a selection committee comprised of Parks and Recreation staff and Park Board members. Sanders was recommended by the selection committee, and the recommendation was forwarded to the Park Board for approval. "The key to success is to focus our conscious mind on things we desire, not things we fear."